MMJ Hype is pleased to announce the open beta for Canada’s largest directory of licensed producers (and those with applications pending) under the Marihuana for Medical Purposes Regulations (MMPR). MMJPR.ca aims to become the go-to source for patients, the medical community, educators, researchers, growers, distributors and the media. We publish news, industry updates and echo important announcements from Health Canada. We are also creating tons of educational content for patients and doctors. We plan on integrating a national directory of prescribing doctors in the near future as well. MMJPR.ca brings together all sources, showing which providers are at what stage of the licensing process, and offers up the latest news and/or research, legislation, related Health Canada notices, and general information on the various strains and medicinal use of medical marijuana. 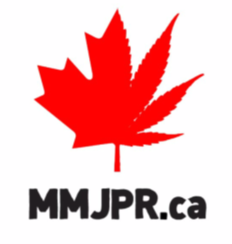 MMJPR.ca will also list some resources in the medical community on the site, making it the first stop for doctors, health care professionals, and their patients. MMJPR.ca ultimately helps connect the industry to the patients, and educates and updates on one site converging all items related to medical marijuana. MMJPR.ca wants to hear from you, write a review, claim your listing, or contact us for an interview with Maxwell Duchaine at 604.365.2952.